Our company offers a 100% guarantee of satisfactory workmanship on all of our services. Our professional cleaning systems are designed to remove maximum soil without leaving your carpet over-wet or with a sticky residue. We are trained and certified by The Institute of Inspection, Cleaning and Restoration Certification (IICRC) (the world’s most recognized body of certification). We boast two Master Cleaners Certifications! Our cleaning process will help you maintain a healthy home as well as preserve your warranty. So relax, we accept the responsibility of providing you with world class quality service. We use a truck mounted hot water extraction cleaning system, used to ensure your best cleaning experience. 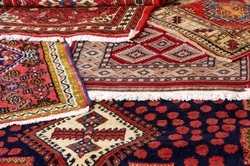 In-Plant Rug Cleaning is recommended for Oriental Rugs and loose woven rugs. They should not be cleaned on location like wall to wall carpet. How Clean is the Air You Breathe? INTRODUCING… RamAir: A Breakthrough in Cleaning! This revolutionary duct cleaning process allows for state-of-the-art forced air cleaning with no mess or debris and it won’t harm duct surfaces! Diamond A is IICRC certified in upholstery cleaning and is recognized as one of the most educated and experienced upholstery care companies in the Front Range. Upon a thorough inspection, our certified technicians will determine the proper cleaning procedure for your specific needs. We can also apply a Fine Fabric Protector to ensure your fine fabrics continue to have lasting beauty between cleanings. From heavily soiled to light cleaning, our 12 step cleaning process is designed to restore your furniture as close to its original condition as possible. We can clean all types of upholstery, even the most delicate of fabrics. For longer fabric life and fewer permanent stains, have Fabric Protector applied! We all love our little furry friends. Sometimes the odors & stains they leave are difficult to remove. 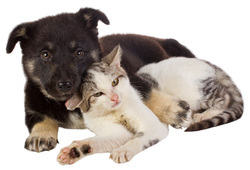 Diamond A uses only the highest quality products to remove Cat & Dog Urine as well as the odor & stain they leave behind. Our five step process to restore your tile and grout will leave your floors clean and bright!